TweakTown is on a roll this week, first the site publishes the first previews of Intel's Core i5 3570K and Core i7 3770K Ivy Bridge processors, and now it has world's first review of NVIDIA's GeForce GTX 680. Hardware review sites who signed non-disclosure agreements (NDAs) will be pretty pissed, but for hardware enthusiasts its pretty sweet to get an early indepth look at the performance of Kepler. You can find TweakTown's review over here. According to data gathered by GPU-Z, the card features 1536 CUDA cores, 32 ROPs, 256-bit memory bus, a 1006MHz core clockspeed, 1059MHz Turbo mode, and 2GB GDDR5 clocked at 6008MHz. Interestingly, the card has a dual 6-pin power connector setup rather than the usual 8-pin + 6-pin configuration on most high-end cards. Display outputs include dual-DVI, HDMI and DisplayPort. The performance of the GeForce GTX 680 is pretty amazing, in most tests it beats the Radeon HD 7970 without a problem and in many cases it comes out better than the dual-GPU Radeon HD 6990. Power-wise the GeForce GTX 680 reference model consumes about 67W more in load and 79W more in idle than AMD's Radeon HD 7970 reference model. The reference cooling solution seems aimed at noise levels more than temperature, the GeForce GTX 680 is very quiet for a high-end card but runs almost as hot as a GeForce GTX 580. 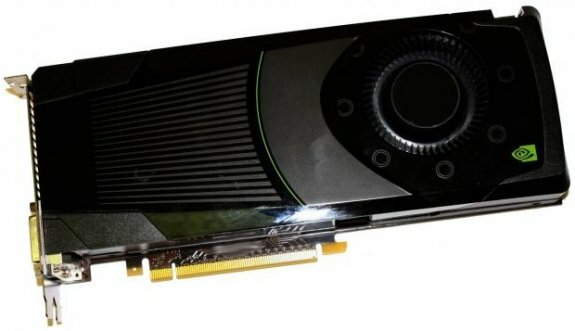 Overall it looks like NVIDIA has a winner on its hands. The rumored launch pricing of the GeForce GTX 680 is $549, although more recent leaks point towards a $499 price tag! Seems like AMD will be forced to lower prices on its Raden HD 7000 series to compete with Kepler, considering that a Radeon HD 7970 still sells for $549.99!